This month has seen Art In Wax celebrate 5 years of me painting in Encaustic wax. 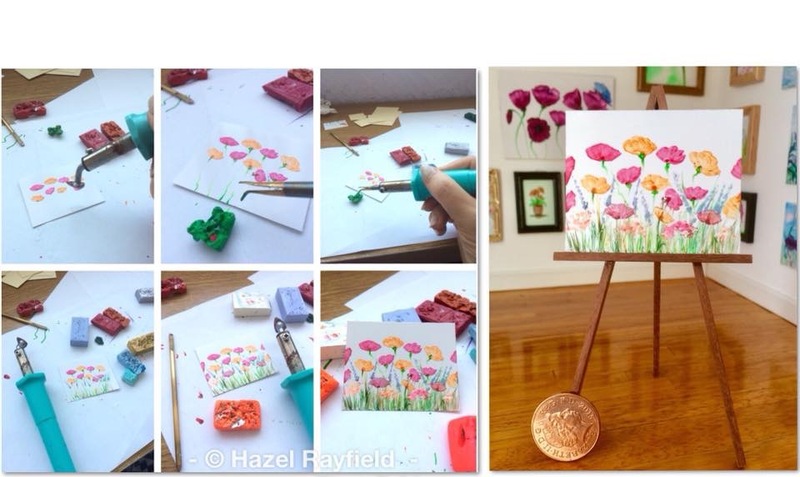 You can read my story and how I got started painting in hot wax on my website profile page. 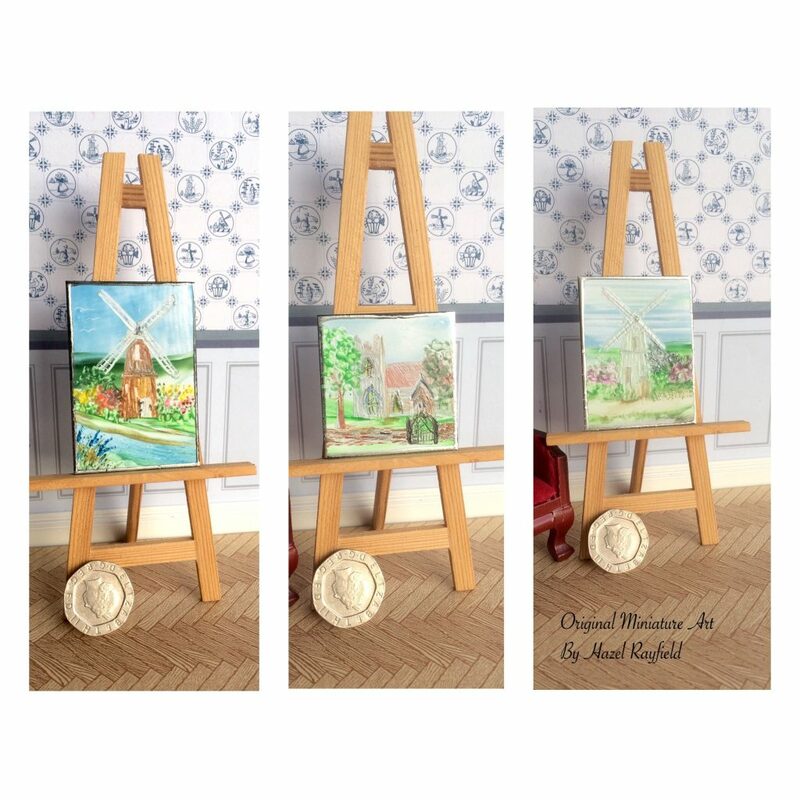 To celebrate I have been have an Art In Wax promotion on my Etsy store and have had an amazing response with this month seeing more sales of miniature Dolls House Art in a short space of time than ever before. 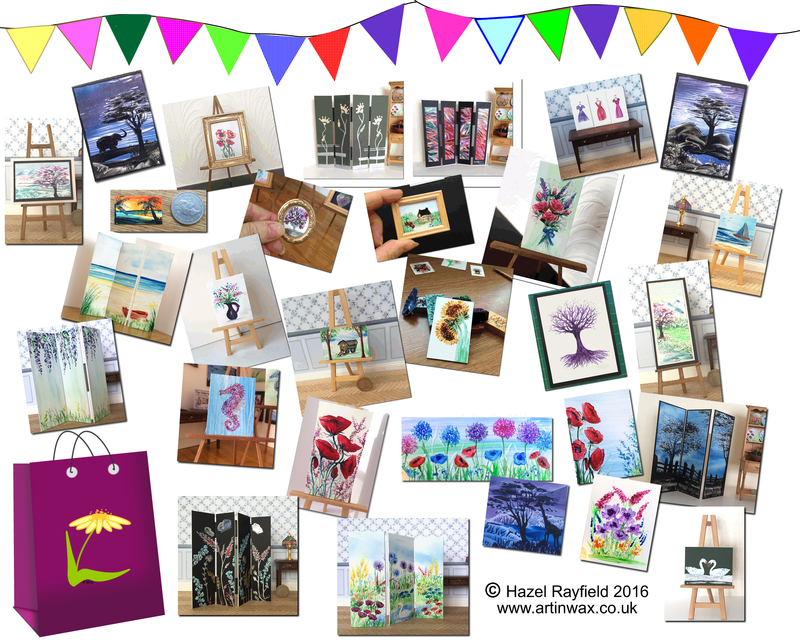 These miniature paintings have gone all over the world, to the USA, Canada and Australia plus many staying here in Europe too ….. The Framed Red Poppies and the Art Deco Screen are now in a miniature house in Massachusetts, with the pretty sunflowers in Hawaii and the retro caravan landscape and the framed cottage picture now in new homes in Texas. The beach screen and the seahorse are in a beach themed property and the dresses in a Ladies shop in miniature, with the tiny sunset with palm tree now in a mini artist studio and the blue night screen in a dollhouse in the north of England ….. so I’m told …..